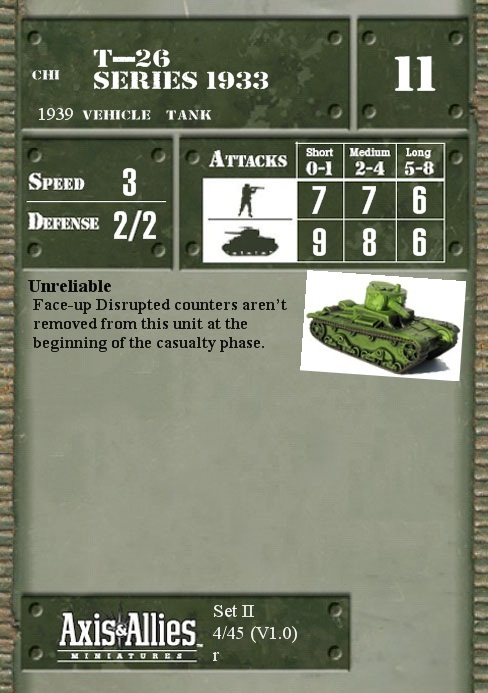 Face-up Disrupted counters aren’t removed from this unit at the beginning of the casualty phase. Q: When can you remove Disruption from a unit with the Unreliable special ability? A: Once it's disrupted, it never recovers. Consider it immobilized. Q: Is there another special ability that would remove the disruption? A: None right now. Maybe one like that will appear in a future set.